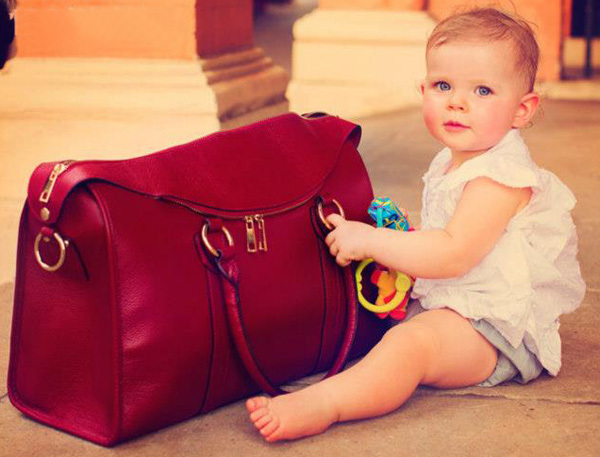 Babyology exclusive - Isle of Charlie launches the fabulous Finlay baby bag! Babyology exclusive – Isle of Charlie launches the fabulous Finlay baby bag! You can never have too many gorgeous bags right? Of course not, especially when it’s as stunning as this latest offering from Isle of Charlie! Isle of Charlie know all about creating magnificent bags for modern mums with a stellar nappy bag collection catering for all the demands of a mum on the run. While all of their bags are a sublime mix of style meets function, the jewel in the Isle of Charlie crown has to be the launch of their latest nappy bag – Finlay. Made from premium grade leather, the Finlay nappy bag is available in two colours, fashion forward Vintage Red or timeless Almond. Its clean, streamlined design is a dream to carry with adjustable shoulder strap, change mat, dummy safe and insulated bottle warmer, but it’s more than just a baby bag. The Finlay bag doubles as a luxe handbag (or work bag) with room for most laptop sizes and a single external pocket for easy access to your own personal items, allowing you to find your phone and keys in an instant. Finlay nappy bag is priced $299 and is available from Isle of Charlie.